This month, American Airlines invites you to celebrate all of the important women in your life by supporting breast cancer research through its Miles for the Cure campaign with Susan G. Komen. Through May 31, AAdvantage members will receive 15 miles, instead of 10, for every dollar they contribute with a minimum $25 donation. Earn AAdvantage miles and support breast cancer research: Through May 31, customers who donate to American’s Miles for the Cure fundraising campaign will receive 15 AAdvantage miles – instead of 10 – for every dollar contributed to Susan G. Komen with a minimum $25 donation. Support the fight against breast cancer and give the gift of travel: Help American Airlines and Komen fund a breast cancer research grant at M.D. Anderson in Houston in by purchasing an American/Komen co-branded gift card. 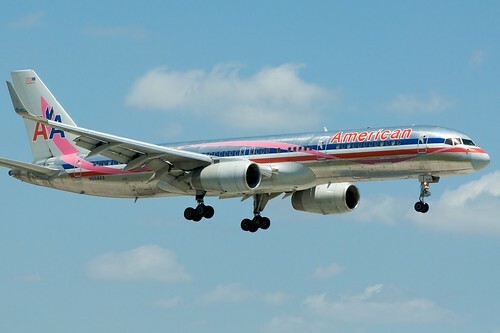 For every $50 of travel purchased, American will donate $5 to Komen for the Cure. Simply select Komen when making the purchase. To learn more, to make a donation or purchase gift cards, visit AA.com/JoinUs.